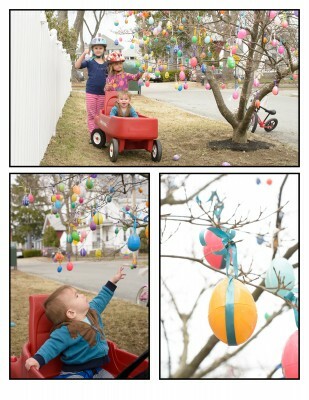 In our neighborhood there’s a woman who makes an easter egg tree every year. This was Ewan’s first trip to the egg tree! The woman actually yelled down from her porch that we could take one each, that’s the first we’d ever heard of that, so the girls were super excited to pick their own egg. Trying out new ways of showing off pictures too.